Your wellness goals are within your reach. Bárbara made her dreams a distinct reality after she joined the PumpUp community. "I started using PumpUp in January 2014 because I wanted to make a full lifestyle change," she recalled. "I wanted to exercise and specifically, I wanted to eat healthier." Though Bárbara maintained considerably active lifestyle, she became fatigued after eating too much food in one sitting. Binge eating impacted her motivation to exercise. "I ate anything I wanted, [at the] quantity I wanted, and at the time I wanted," she shared. "Tons of cookies, no vegetables, and tons of soda drinks, [...even though] I did small, non-challenging exercises at home three times a week, and played football 1-2 times a week." When Bárbara discovered PumpUp, she received unparalleled motivation, began to exercise more frequently and with more intensity, and completely changed her eating habits. "This community changed my lifestyle in so many ways," she insisted. 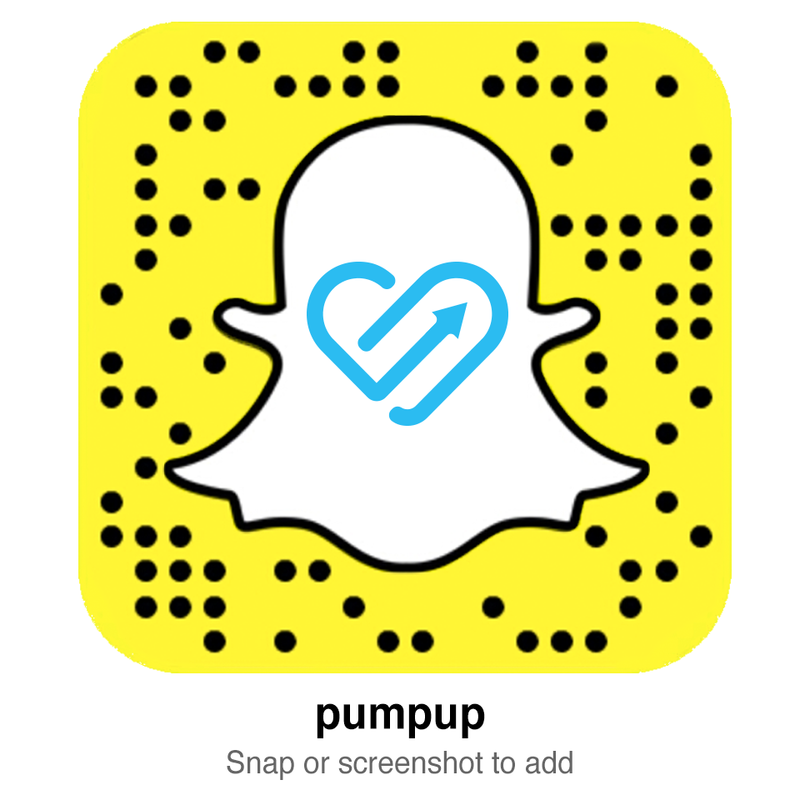 "[Because of] PumpUp's amazing team and family, I became inspired to make a change by so many members such as @allainetoot, @lauragully, and @jatie. My eating habits made the biggest change. I [keep track of] my maconutrient intake. I know how many grams of each macro I need to eat to gain the exact muscle mass I want to have." Bárbara no longer eats fast food, soda, or chips. She cut out red meat from her diet and resolves to work out at least five times a week. Gone are the days when Bárbara would turn to cookies as a source of comfort. "PumpUp really helped me to achieve my goals. I turned my wishes into habits," she said proudly. "I am a fitness and health food 'freak'! I accomplished everything I wanted to [achieve] on PumpUp: having a healthy lifestyle." Moving forward, Bárbara hopes to help and inspire other members to make a change for themselves. "I'm trying to bring more members to this amazing team," she emphasized. The beginning of Bárbara's fitness journey was, in her opinion, the most crucial stage. She strongly advised about the importance of persistence. "The first month during [any lifestyle change] is going to be the hardest," she counselled. "Don't give up at the beginning. When you start seeing results, [fitness] is going to become an addiction and a habit. Stay tuned on PumpUp for motivation and inspiration. Ask questions to other members and do the best you can! If I can do it, you can do it too!" Although Bárbara admires many members on PumpUp and others on Instagram, she tries not to compare her own progress to that of others. She insists that she is her very own source of motivation. "So many people tried to bring me down and said negative things to me [ when I began my fitness journey]," she recounted. "That didn't stop me. In fact, it did the opposite: [their comments] gave me more strength the persevere. Now, I just filter in positive vibes. I don't care about other peoples' negativity. A healthy mind leads to a healthy body." Currently, I'm working out 5x a week: 3x lower body and 2x upper body plus 20 min of low intensity cardio after every workout (eg. the stair climber, skipping rope). My workouts consist of hypertrophy training because my main goal is to gain weight (muscle mass). I do small reps with more weight (3x12reps). Normally, after my workouts at the gym with my personal trainer, I do some extra exercises at home using PumpUp. This works especially for my core. When I’m far from my gym, I do total body workouts using the app. They are amazing and it's very simple to create a specific workout for your goal. Normally I eat 7 meals: 3 main meals & 4 big snacks. I don't eat fast food, soda drinks, red meat and chips. I normally eat 50% carbs, 30% protein and 20% fat. This includes white meat, pasta, brown rice, oats, eggs, fruits, vegetables, sweet potatoes, seeds, etc. I also take supplementation before and after my workouts. The last one is not ‘famous’ but its actually a Portuguese girl living in UK who inspires me a lot. I actually find so many similarities with her. Favorite foods are: Cherries, Peanut Butter & Grilled Chicken w/ Pasta. Favorite drink is GREEN TEA! Favorite exercise is any type of squat and leg raises on pull up bar. Keep Bárbara pumped! Connect with her on the PumpUp app @barbaraptowers.